HomeCare and FeedingWhy Should You Entertain Your Bird? A common misconception about pet birds is that once home, the owner does not need to do much other than feed, water and let the bird out of the cage. However, just as a bird provides hours of entertainment it is just as important for the owner to entertain the bird. Because birds have the ability to pick up on moods, they will often do whatever it takes to be a part of the human family. This is why many birds owners think of their pets more as children but in keeping a bird as a pet, please note that there are certain things you can do to a juvenile and not an adult. Remember, birds mature quickly so you want to make certain they have everything needed to live a long and healthy life. While birds are pretty resilient they can also be fragile. For instance, if not handled properly, a bird can experience physical injury but if not entertained, this type of pet can also be impacted emotionally. Therefore, a bird must be treated with respect and kindness that will allow for a good relationship to be developed but always on the bird’s terms. If not played with or when treated badly, a bird will not flourish or thrive neither will your relationship with him or her. For this reason, you want to set some time aside daily to talk to your bird, play with him, introduce him to new things, and so on. Domesticated birds don’t get the exercise or stimulation a wild bird gets and they bond with their “mate” (human/family/flock) for life so they need a lot of attention from them. Imagine you get married and after a year your spouse barely takes you out much less talks to you in a kind, loving and face to face endearing way….You probably wouldn’t care for that spouse much and when they did interact with you you might just be bitter and cold, much like a companion bird feels when neglected and not interacted with. Birds are actually very intelligent, having the ability to apply knowledge, manipulate an environment, and think in an abstract way. Through years of research, experts have discovered that birds are great problem-solvers. In the wild, birds have been seen using natural tools and manipulating their environment in order to find food. 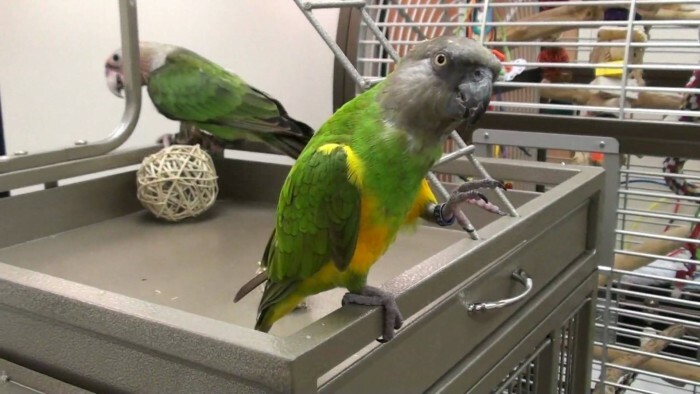 For a long time, experts thought only primates did this but it has now been found that parrots also have the ability to acquire complicated language and have abstract thoughts. Of course, a bird’s intelligence depends in part on the species but also the owner and how much time has been spent with your bird. So far, the African Grey parrot is the only species that has been thoroughly researched as far as intelligence. Dr. Irene Pepperberg a scientist, along with Alex, her African Grey, worked together on a number of studies until 31 years of age, he passed away in 2007. From the conclusion of these studies, Pepperberg found that Alex’s intelligence level was that of a four year old child. She also learned that from an emotional standpoint, he was about age two in human years. 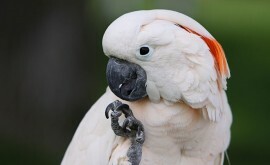 For other species, it remains unclear as to the level of intelligence but when I’m talking to people who own different types of parrots, you will hear about words and phrases often said in context. It is important to set aside play time with a bird outside of a cage. Although smaller birds to include parakeets, canaries, and finches do quite well in cages with room to fly, even the smallest parrot needs designated playtime. 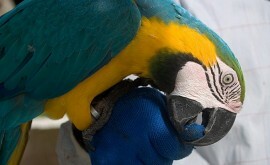 If kept in a cage all day, parrots become unhappy and with this, present unwanted behaviors. In fact, some parrots will develop what is referred to as “cageosis” in which he will pace back and forth on the perch, swing his head from side to side, and/or scream. 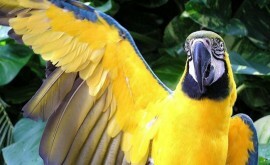 Therefore, parrots need cages that can be left open, giving them the chance to fly if it’s safe to do so. 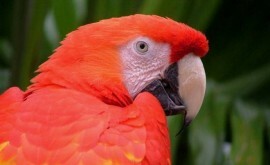 If a parrot will stay in the cage for any length of time, then it should be extremely large. However, if kept in even a large cage too long, parrots can start plucking out their feathers, screeching, biting, and so on. Whether playing with your bird in the same room where his cage is located or in another room, make sure you provide one-on-one time just to play. The goal is to choose a location where the bird can walk around. We also recommend providing your bird with different toys that are fun but also mentally stimulating. One- on-one time is what we all need for any relationship to flourish.